The global copper stranded wire market is expected to grow at a CAGR of over 1% during the forecast period of 2019 - 2024. 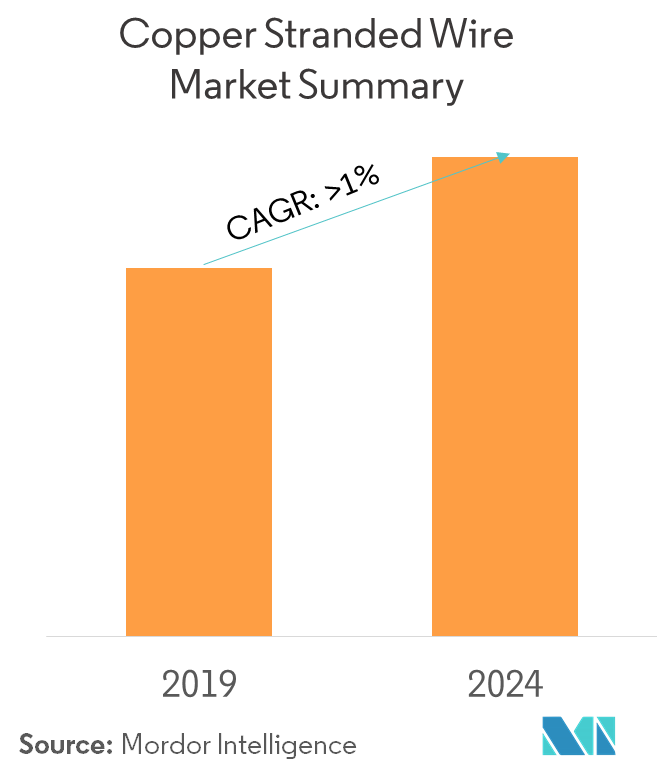 The major factors driving the market studied include increasing energy requirement and developments of products with more flexible and functional application. Loss of energy due to proximity effect is expected to significantly hinder the growth of the market studied. Asia-Pacific is expected to dominate the global market during the forecast period. Increasing usage in infrastructure, telecommunications, energy, etc., activities in emerging economies is likely to act as opportunities in the future. Copper stranded wires are used for electric supply and can be installed at both residential and industrial level. One of the major end users for the copper stranded market is the construction industry. In the construction industry, infrastructure is the major contributor for the market demand of copper stranded wires. Increasing investment on the construction of infrastructure in the Middle East and Africa is expected to boost the demand for copper stranded wires. In 2018, Global Infrastructure Hub had announced an investment of USD 1 trillion to be spent in African countries, over the next 22 years. In 2019, The Energy ministry of Saudi Arabia announced that it is seeking for an investment of USD 425 billion from the private sector to be spent on infrastructure and industrial development, through the National Industrial Development and Logistics Program, in the next 10 years. Therefore, the growing investments are expected to drive the market studied during the forecast period. China is expected to dominate the demand for copper stranded wire market in Asia-Pacific region during the forecast period. 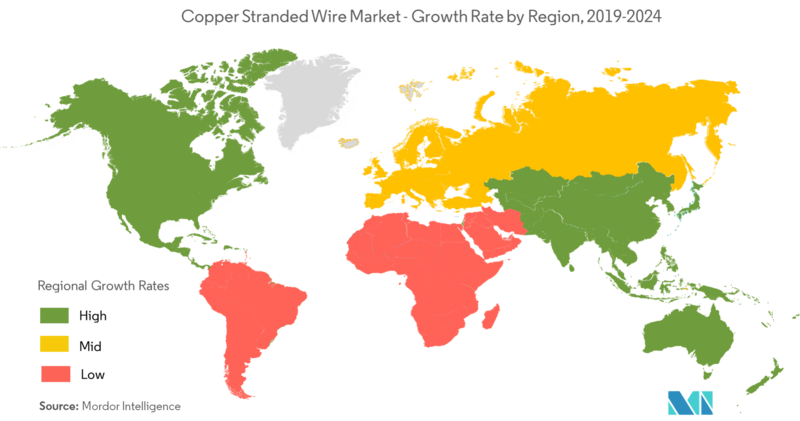 China has been the leading investor in infrastructure, worldwide, over the past few years. China has also invested around USD 274 billion on 3,485 infrastructure projects across the world, by 2018. This growing investment in infrastructure is likely to boost the demand for copper stranded wire, during the forecast period. The automotive industry of China is also witnessing positive growth, which is expected to drive the demand for copper stranded wire. China’s energy sector is also thriving, owing to the high demand for energy. The rapidly growing industrial sector is one of the key factors driving the energy demand in China. Furthermore, countries such as India and Japan have also been contributing to the growth of the market studied. 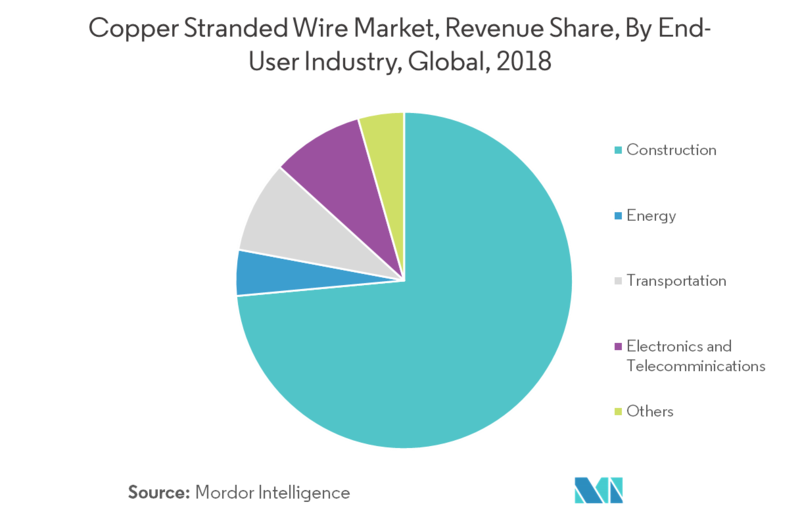 This is expected to further drive the demand for copper stranded wire market over the forecast period. 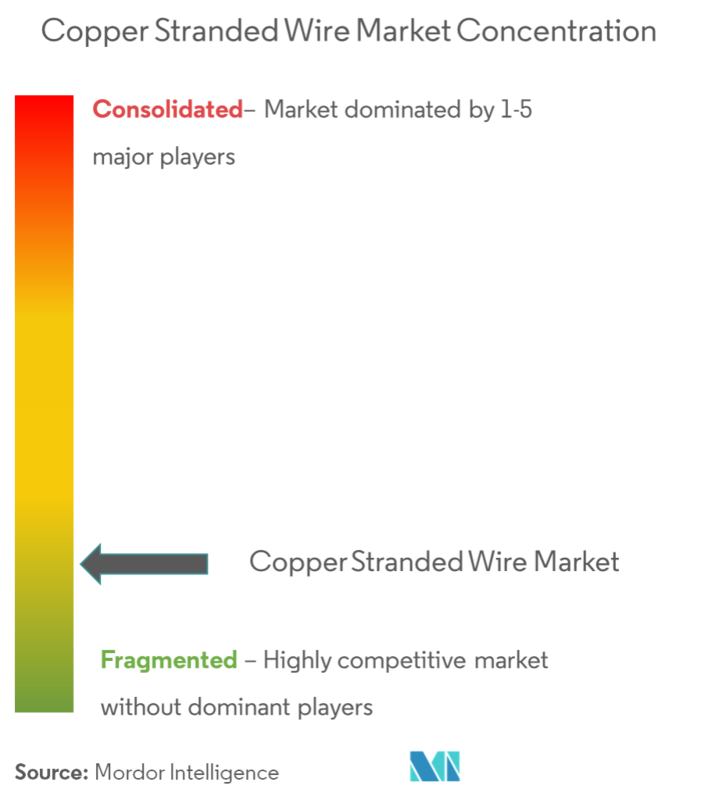 The global copper stranded wire market is partially fragmented in nature. Some of the major players of the market studied include, Prysmian Group, Alan Wire Company, Nexans, and Sumitomo Electric Industries, Ltd. among others. 6.4.11 Sumitomo Electric Industries, Ltd.
6.4.13 W. L. Gore & Associates Inc.